Beauty and Beyond Skin Clinic is a multi-awarded clinic that provides top-quality maintenance only, non-invasive slimming and facial service at affordable prices. 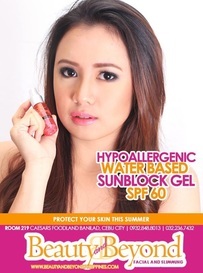 We have highly trained staff to cater to all your skin and body care needs. We only use the best equipment for all our facial and body slimming services. We are committed to continually develop and upgrade our facilities to provide you the best possible service at very low and affordable prices. We look forward to catering to everyone who would like to start enhancing their natural beauty and look Beyond Beautiful. beauty is a right. not a privilege. franchise beauty and beyond today! - APRIL 2019 PROMOS NOW AVAILABLE! -BEAUTY AND BEYOND WILL OFFICIALLY BE COMING TO BOHOL THIS 2019! -ULtralifTHERAPY now availble! Click to know more! -OPEN FOR FRANCHISE. DISCOUNT ON FRANCHISE FEE! -BEAUTY AND BEYOND CITY TIMES SQUARE IS NOW OPEN! -JET PEEL IS NOW AVAILABLE! -3D/S3 EYEBROW EMBROIDERY NOW AVAILABLE! 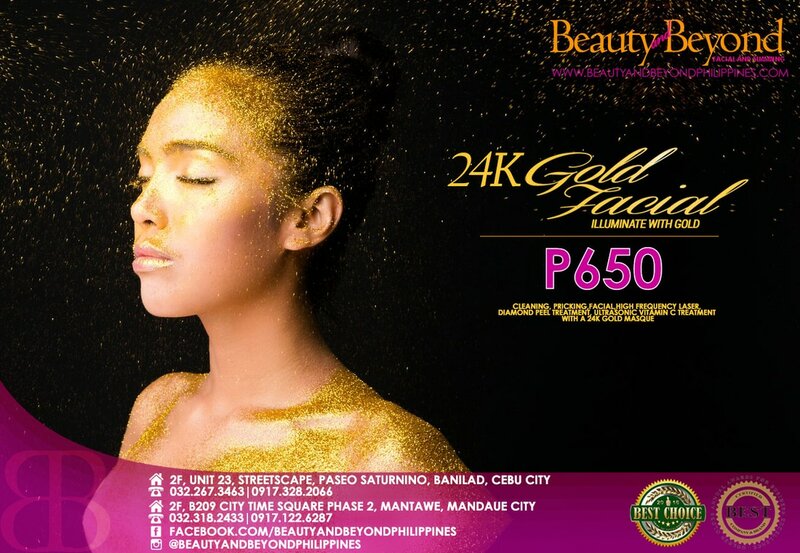 Beauty and Beyond’s 24K Gold Facial completely rejuvenates your skin needs by nourishing it with a Vitamin C Ultrasonic treatment that is able to penetrate skin deeply and provides cellular renewal, tones muscles, improves blood circulation and fights skin after the classic signature facial treatment and after a Diamond Peel Treatment is applied. After which, a 24K Gold masque is applied to illuminate your skin and restores the skin to a healthier and more radiant complexion. Get rid of your wrinkles, tighten your skin and have flawless, silky shiny skin with the 24K gold treatment!